Apple and Samsung have settled an ongoing legal battle that has spanned seven years, according to court documents filed with the Northern District Court of California this morning. In the document, Apple and Samsung said they have agreed to drop and settle the remaining claims and counter claims in the design patent legal battle that saw them back in court in May. The terms of the settlement were not included in the court document, but Samsung had been ordered by the jury to pay Apple $539 million following the May damages retrial. Apple and Samsung's legal dispute has been ongoing since 2011, when Apple sued Samsung for violating Apple design patents with five Android devices sold between 2010 and 2011. Samsung was found guilty of infringing on Apple's patents back in 2012, but the two companies have spent the last six years duking it out over the total amount Samsung owes Apple for the violation. Samsung has vehemently argued that it should have to pay damages only for the portion of the iPhone's design that it copied, while Apple has continually asked for a payment based on the full value of the iPhone. The court in May largely sided with Apple, ordering Samsung to pay $539 million, a decision Samsung was not happy with because it was over the $399 million Samsung had originally gotten the payment down to following multiple appeals, and more than the $28 million it insisted it owed. The South Korean company filed an another appeal demanding a new trial on June 11, but has now dropped all appeals since a settlement has been reached. Apple declined to comment directly on the settlement, referring MacRumors back to the company's statement following the May verdict. Dang! I figured the kids I've been raising since this thing started would have time to grow up, go to law school and work on this case someday. Related Story: "Apple now 100% powered by harnessing the energy from Steve Jobs spinning in his grave." Did I just wake up in an alternate reality? I wonder if Apple got a credit against its parts bill instead of the judgement. A credit would be non-taxable for apple and a non-cash expense for Samsung, which would be a win-win. REPENT SINNERS, FOR THE END IS NIGH! Finally. Now get things over with Qualcomm and start innovating more! Apple and Samsung have settled an ongoing legal battle that has spanned seven years ('https://www.macrumors.com/2012/08/24/jury-reaches-verdict-in-apple-vs-samsung-trial/'), according to court documents filed with the Northern District Court of California this morning. 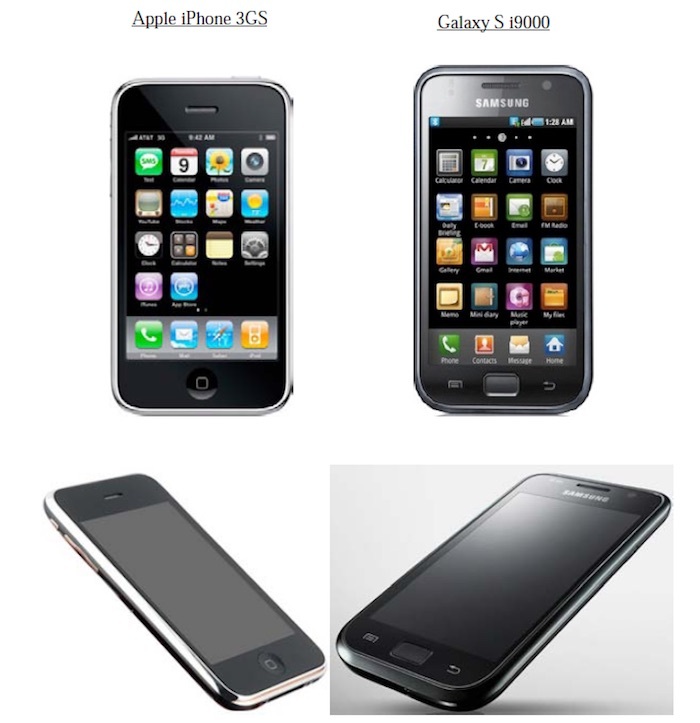 The terms of the settlement were not included in the court document, but Samsung had been ordered by the jury to pay $539 millionApple and Samsung's legal dispute has been ongoing since 2011, when Apple sued Samsung for violating Apple design patents ('https://www.macrumors.com/2012/08/24/jury-reaches-verdict-in-apple-vs-samsung-trial/') with five android devices sold between 2010 and 2011. Samsung was found guilty of infringing on Apple patents back in 2012, but the two companies have spent the last six years duking it out over the total amount Samsung owes Apple for the violation. Samsung has argued vehemently that it should have had to pay damages only for the portion of the iPhone's design that it copied, while Apple has continually asked for a payment based on the full value of the iPhone. The court in May largely sided with Apple, ordering Samsung to pay $539 million ('https://www.macrumors.com/2018/05/24/samsung-owes-apple-539m-patent-violation/'), a decision Samsung was not happy with. The South Korean company filed an appeal demanding a new trial on June 11, but has now dropped all appeals since a settlement has been reached. This is the most monumental MR post in almost 8 years. Now Samsung's lawyers will help Apple with a lawsuit against Xiaomi? Finally they realized this was not helpful to anyone.